Weapons of all kinds are smuggled to Africa by unscrupulous gun traders which incite African tribes to combat each other. Heavy penalties are imposed by the government but in the jungle the gangsters are hard to find and high profits make many venturers to take high risks. When two officers encounter a white man named Trask leading a big load of guns through the jungle and ask him some questions he pulls his guns and shoots them. 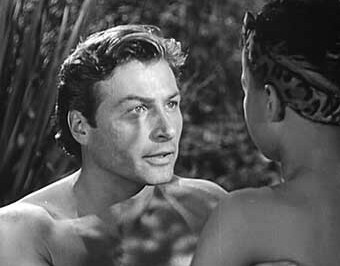 When Tarzan soon finds them noticing they were good friends he decides to find the killers. Trask belongs to a gang of smugglers leaded by an escaped prisoner named Radijek. 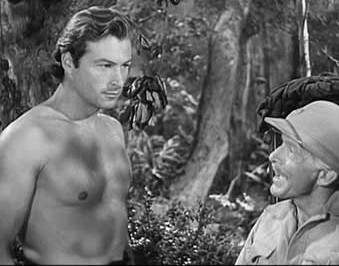 Trask and his partner Andrews join the gang on their way through the jungle. 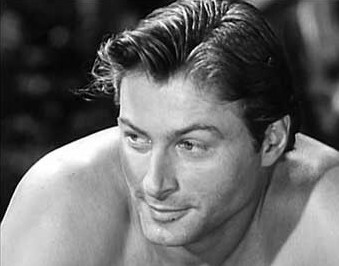 Radijek who doesn't want to share his profit kills his partners but Andrews survives and is saved by Tarzan telling him about Radijeks plans. 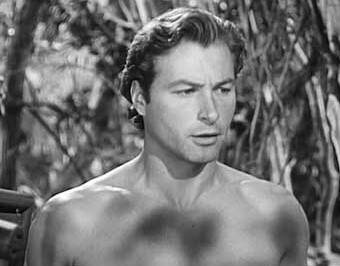 On page "News and tidbits" you can find a note about a biographical movie on Dorothy Dandridge (Melmendi) in which some actor playes Lex Barker's role as Tarzan. 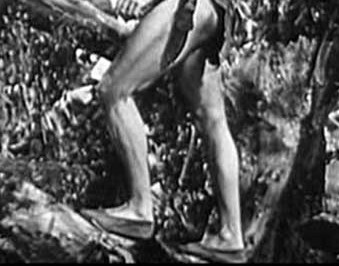 Tarzan wearing shoes in the jungle and jumps..
...landing without shoes - he must have lost them!